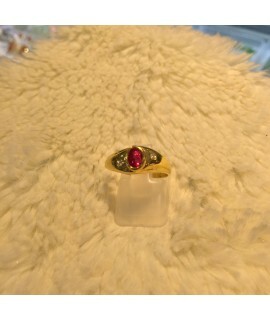 DROP SHAPE FACETED RUBY WITH DIAMOND RING- Made of Myanmar heat treated ruby. 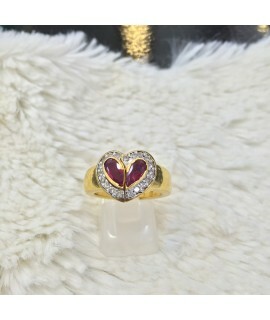 (Diamond 10 pcs= 0.18ct..
HEART SHAPE RUBY AND DIAMOND RING- 2 drop shape rubies are connected into heart shape with a click s.. This item is a professional handmade. It is a unique piece of Myanmar imperial Jade (A type Jadeite).. Authentic Myanmar Jade Ring is professionally handmade. It is a unique piece of Myanmar imperial Jad.. 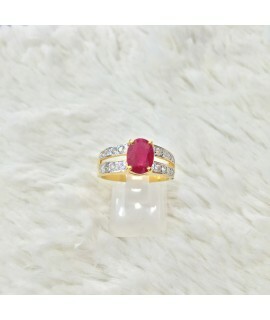 This Ruby Diamond Ring in Cabochon_Oval_Shape is Myanmar natural Ruby from Mogok. The Pigeon's blood..
RUBY AND DIAMOND DRAGON- Chinese dragon with sparkling red eyes biting a fire- bright ruby and will..
RUBY AND DIAMOND RING- Made of heated treated Myanmar ruby. 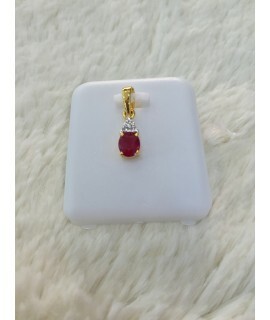 (Ruby faceted =1.45 cts, diamond 16 pcs=.. 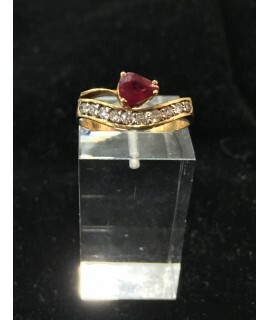 This Ruby Diamond Ring in Cabochon_Oval_Shape is Myanmar natural Ruby from Mogok. It is weight: 1.67.. This Ruby Diamond Ring in Cabochon_Oval_Shape is Myanmar natural Ruby from Mogok. The Pigeon's bloo..
RUBY WITH 2 PIECE DIAMOND RING-Made of Myanmar Natural ruby of unique color and good clarity. (Fac..